Fort Lauderdale, FL(RestaurantNews.com) Miami Grill continues to experience a strong positive sales growth trend in the second half of 2017 due to an aggressive, refreshening strategy that has fueled franchise expansion. Miami Subs continues to transition to the upscale, hip and sophisticated, fast casual format of Miami Grill, with a South Beach vibe and an “Everything Goes” menu. The revitalized features include enhanced building interiors and exteriors, service platform with plateware, healthy menu options, plus guest favorites like cheesesteaks, wings, gyros, burgers, and world famous Miami seasoned fries. So far, nearly 70 percent of the chain’s restaurants are in varying stages of remodeling or have converted to the Miami Grill brand. All new Miami Grills opening in Central & North Florida and South Texas will have the new look, design, and service platform. The remaining Miami Subs restaurants are scheduled to transition to Miami Grill by 2018. 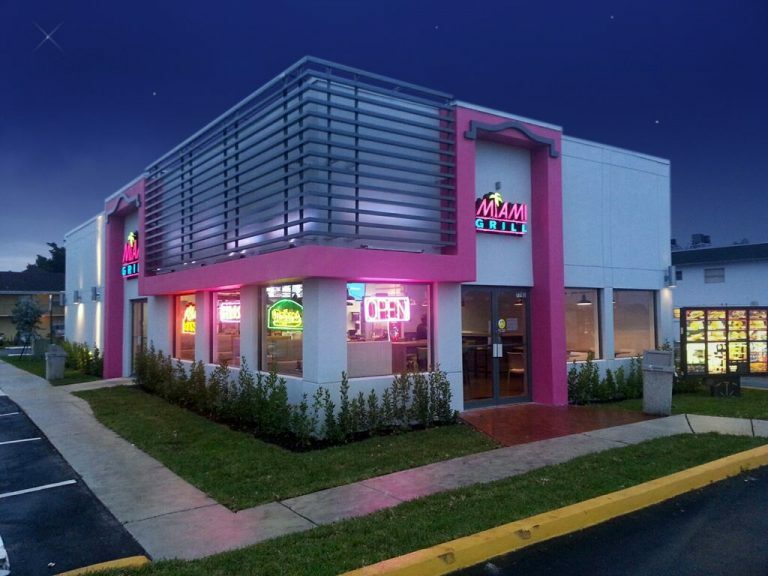 Miami Grill, operating primarily in South Florida, has an aggressive domestic and international expansion plan underway with restaurants open or under construction in Central & North Florida, North Carolina, Texas, Malaysia, Panama, Myanmar and Ecuador. Additionally, a new area developer committed to five new locations in the Punjab Province of Pakistan starting in Lahore.